After several tracks on various compilations, Flowjob (Joakim Hjorne & Mads Tinggaard) from Denmark is out with their debut album on Danish Iboga Records. As usual from this label, we receive an album full of drifting progressive sounds. This album starts with a really long track, including a beautiful, floating intro, which I can imagine could turn into a nice chill out track too. But, after a while, the progressive trance drift starts rolling. Melodic progressive trance for the morning with a happy vibe. My favourite track on this album. Most of the tracks we get here has a pretty light, happy vibe. In general, most of the tracks sounds more like progressive house than progressive trance, but I guess they have a foot in both genres. They also put in some elctro vibes in several tracks, which seems to be the new trend in many progressive releases these days. The last track we get here has a lot of female vocals (Trine), which makes it sound like a pop house track. Surprising for sure. One of my favourite tracks here is track 8 (Wadley), which has a very happy vibe, but doesn’t become too fluffy. 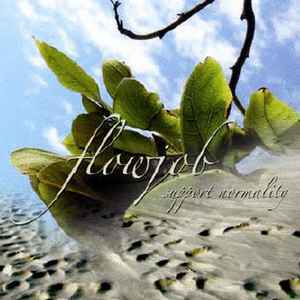 The debut album by Flowjob is much more housey than I expected. Actually a step away from trance. Happy, melodic progressive house, which should fit on sunny days this summer. But anyway, pretty nice to hear some new directions from Iboga, although personally I like it a bit more trippy and trance oriented than this. Let me also stress, that there are no bad tracks here – some of the tracks are just not what I expected or hoped for… They are too many stand-still passages here, and that’s a shame, coz when the guys crank up the old party meter, they do it so well… But hey, fans of the slicker side of Iboga Records will most definitely have a field day with this album – as will fans of Gaudium and similar crossover progressive trance… So, in conclusion, this is not my fav’e among recent Iboga releases – but even when it’s sub par Iboga stuff, it’s still pretty classy… Enjoy!